I must be in a reflective mood today. Or really thinking about what lies ahead. Either way, this is the result. Thank you to Sammi Cox for hosting his weekly challenge that I love. The changing word-count makes it so interesting. Ever changing, ever elusive, ever within your grasp? 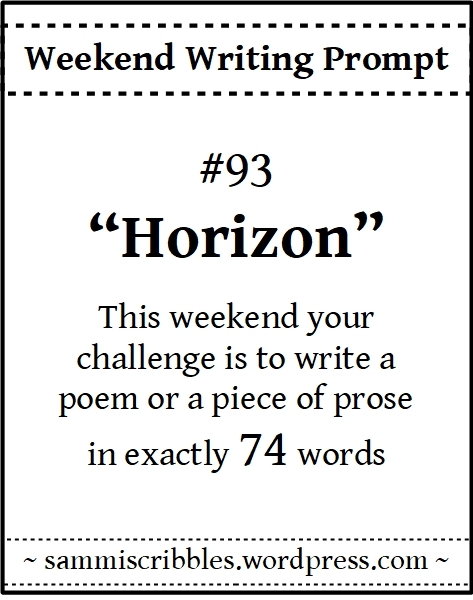 This entry was posted in Weekend Writing Prompt, Well-being and tagged expansion, horizons, learning, Tuscany. Bookmark the permalink. You’ve really got the hang of nailing it, haven’t you. 🙂 Big likes, big smiles, enjoyed. I thank you. Very much!! Your 74 words are sublime. Well done, my friend. Love that!! Most welcome. Then. So true. I love what you wrote in only 74 words. Well done. Again you blew my mind. I read it about a dozen times and each time it it sunk deeper. So much meaning and truth in, I didn’t count how many words, so few words. Thank you, Tony. I really appreciate your reading this and taking the time to comment. I’m glad it touched you in some way. It’s an amazing prose in a few words. Great. You were in a reflective mood. This is so true. Well done–you said a lot in a few words! I was, wasn’t I? Thank you, Merril. We went deep inside the mind of Dale today, didn’t we?! Reflective indeed! A perfect image though. Thank you. 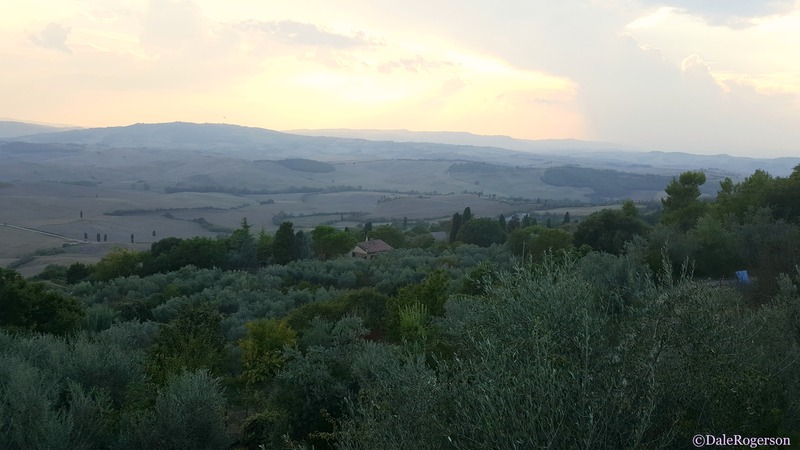 I took it a couple years ago during my trip to Tuscany, a place I would find myself back right now! So true Dale, we could all do with looking at a different horizon now and again. Thank you, Andrea. We would learn more, I like to think. Such wise and philosophical ideas, well done. Thank you, Francine. Must have snuck out of me! This piece dovetails seamlessly with a conversation I was having last night with Linds B about how the mind works. Seventy four words is a marathon for you at this point! I mean, having done the seventeen word challenge as if it was cupcake, this MUST have felt roomy to you. But that’s only because you make it look easy, which it’s not. At all. How nice that it does! I love when things like that happen. Me too. It validates this whole thing. I probably, might have, surely would have read some writer or other who posits a guess as to what this spinning marble is really all about. As long as they invoke the spirit of maestros such as Warhol and Hendrix, who totally knew the ending. To that far away and not so far away place that rhymes with one’s muse! Here, and hear! I’m sure you have. Matter of fact, I’d go so far as to say I’m positive you have! (Your writing gives you away). Yes, but it’s subconscious third party Intel collected from the ramparts of some yesterday at this point, seeing as how my reading is very scattershot any longer. The booze ensues and then tattoos! Ah, but that’s neither here nor there as there is proof you have forayed into that world and now it bits and pieces remain floating around that noggin of yours to come out in your own prose. But best not to get tattooed under the influence of booze! That’s how you end up with a Cuban sammy! You mean here nor hear? Which we STILL have not resolved. LOL. Yes, it’s the same for you, yanno. And every writer. Sometimes, when we read a particularly succulent work, we bleed the impressions in our own. Sometimes I love this and sometimes I want to impart my own voice and not a facsimile, which is where the work really comes in. Love the last four lines, Dale. The pot of gold in my elder years is learning that change and surprises keep on happening. Thank you, Ina. That is wonderful and I love that!! You look at the changing word count and I see torture. Bwahahaha. You impress the hell outa me. Ha ha!! I do see challenge because I know I can ramble on and often do. With these I am forced not to. Horizons can be both enjoyable and frustrating. They’re a comination of reality and an illusion. You do wonders with just a few words, not an easy task. Thank you so much, George. I really appreciate it. This is definitely a time of expanding horizons for you, Dale! Great piece.